Sound Equipment Rental in Barcelona. At Eventos Barcelona we take care of the global production of every event, such as gala dinners, conventions, company meetings… We have a great variety of sound equipment to rent (line arrays, medium and small format PAs, and portable amplifying systems) to cover any event from a large concert to more intimate celebrations, with a guarantee assured by the years of experience of our professional team. Sound equipment rental for all type of events. We have a great selection of sound equipment rental: Cordless systems, DI units, monitoring systems, digital tables, signal processors, all types of cabling, and any accessory that an event might require. We also have all type of backline equipment such as guitars, drums, keyboards, pianos and wind instruments, if required. You’re imagining it now. During the next cocktail party that you organise, you can see your guests dressed to impress, with the best chill out music playing in the background. Or maybe you’re planning a stag or hen party in an exclusive terrace bar and you want the best DJ in the city to get the party going, whether it be with David Guetta or hits from the 80s. Maybe you’re a business owner and you are setting up a stand for your travel agency, any future visitor will surely appreciate hearing music from all over the world while they take a look at your offers. You might even be a singer wanting your music to sound as if it were from the heavens. Whatever the reason, did you know that hiring sound equipment for a concert is essential? Sound is essential to any event. 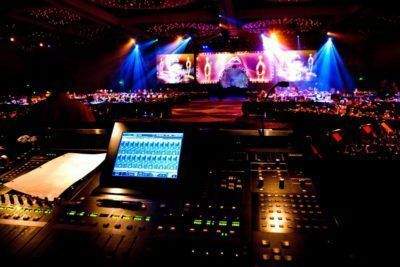 A focal point that can be divided up into various nuances or intensities, meaning that choosing the best sound equipment can be one of the most arduous tasks when wanting to be the best possible host. If you are looking to hire sound equipment in Barcelona, EB is the best option. A trusted and professional brand offering all the equipment available on today’s market, from the most retro or vintage equipment to the latest models offered up by the technological giants to make your event a success. We create the soul for your future party, event or concert to make you the best possible host and proudest of event organizers. Let EB advise you and don’t just make your event the best, make it superior to what you had ever imagined. Surpass all expectations for that party with your friends, or that wedding where a Whitney Houston song brings everyone to tears. Remember you’re not just providing the sound, you’re creating new feelings and emotions. At EB we are more than just sound equipment hire in Barcelona. We are your best choice to make your events even better. Tell us your requirements and your event concept and we can advise you and offer different technical and practical solutions, to help your event be a total success, and for it to go off without a hitch!